Any mom, no matter how much she loves her kids, sometimes needs some serious time off. I’m lucky because I have a loving sister who always seems to know when I really need a spa day. 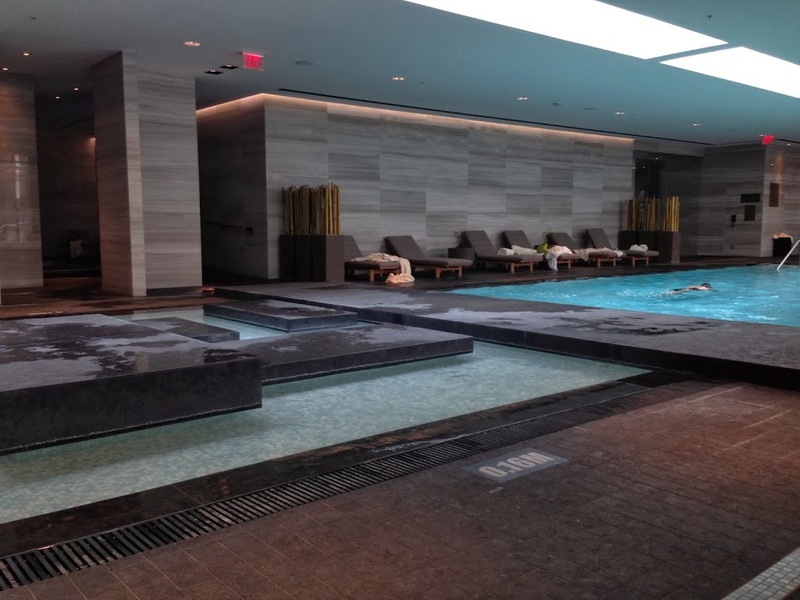 Last night, when a previously planned cottage weekend got derailed by Will having a stomach bug, she invited me to join her today at the spa in the Four Seasons Toronto. 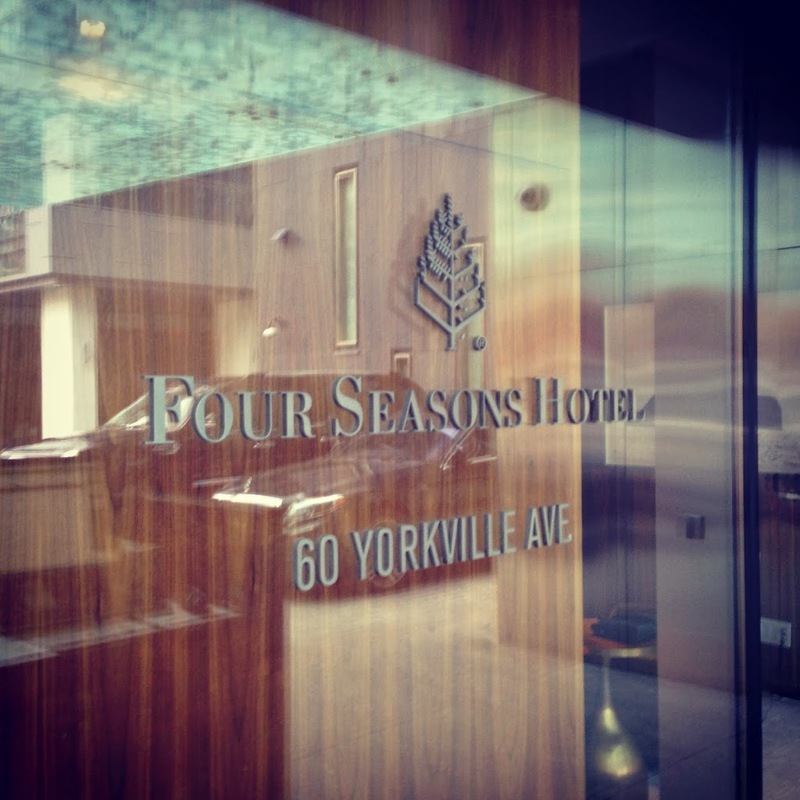 Whether you are visiting Toronto or live here, you should really stop by the new Four Seasons in Toronto. The hotel is quite impressive and one of the most luxurious hotels in the city. The reception area of the hotel. The hotel entrance was well signed and it was easy to find the spa. Located on the 9th floor of the hotel, the spa is 30,000 square feet of pure relaxation and luxury. There is a large pool and hot tub area, plenty of relaxation space scattered around the spa, large treatment rooms and a nail and hair bar. 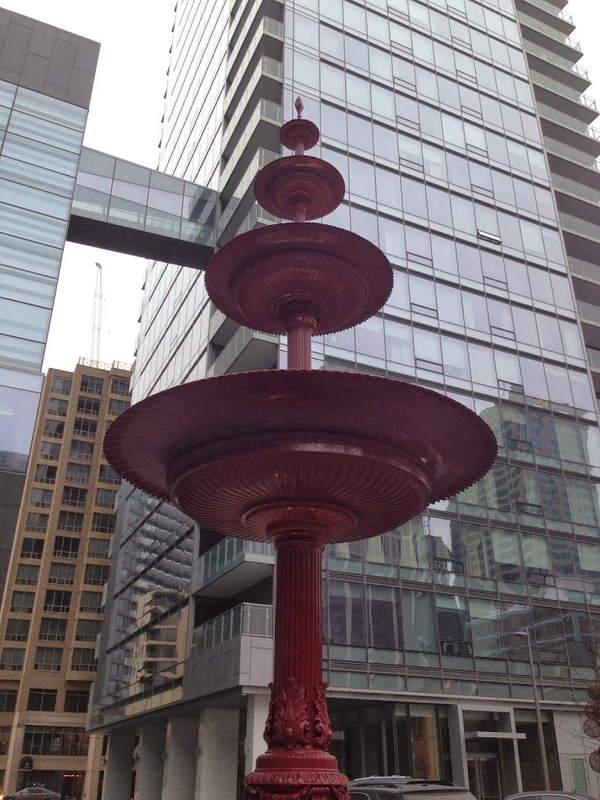 In the summer, there is also a large patio overlooking Yorkville, one of Toronto’s famous neighbourhoods. A private relaxation area in the spa. I began my day with a 60 minute deep tissue massage from Nick. He was extremely professional and made sure the music, room temperature and lighting were all to my liking. The massage was one of the best I have had and I would not hesitate to return to him from another one. 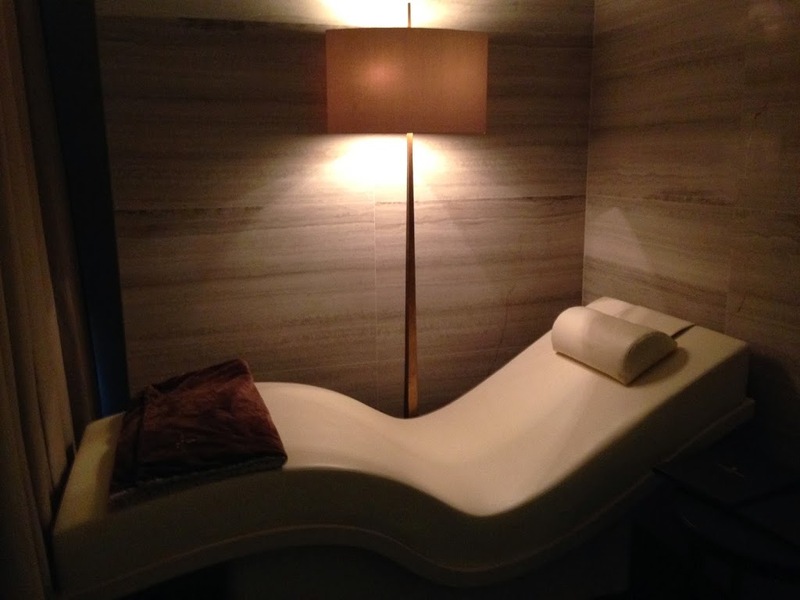 The treatment rooms are particularly large which makes relaxation easy. I could not hear anything from the other rooms and truly escaped from my busy Toronto life for an hour. The massage was fairly priced at $170 and was worth every penny. After my massage, I returned to the relaxation room to await my next appointment, a European Classic Facial. The facial began with a deep cleansing and exfoliation using rosemary and pineapple extract and ended with a Hungarian Moor mud mask to remove toxins from my skin. While the mask was drying, I received an incredible facial, neck, arm and hand massage. The hour long facial cost $180. Once your treatment is complete, there is still a lot to enjoy at the spa including the sunlit bromine relaxation pool and hot tub. I also particularly enjoyed spending time in the eucalyptus steam room before heading back out into the never-ending Toronto winter. 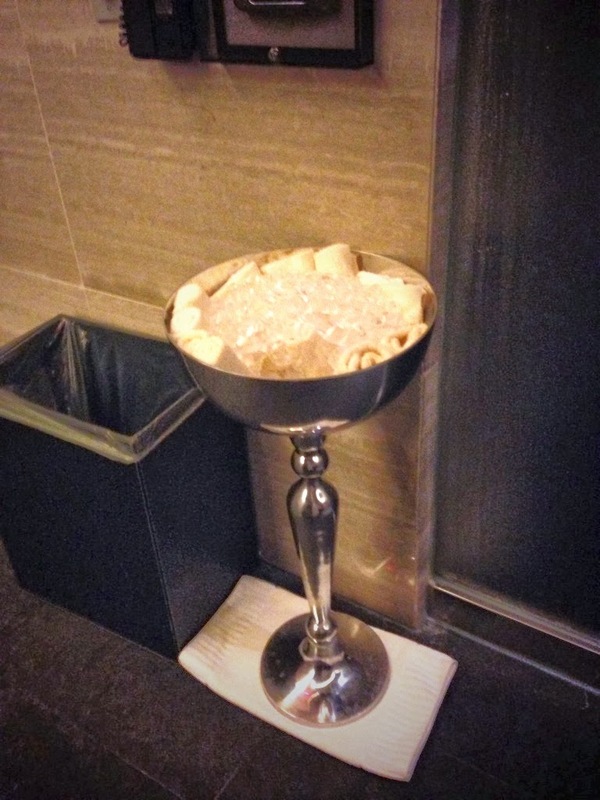 I thought the ice cold towels provided to you upon entering the steam room were also a very thoughtful touch. Iced towels outside the steam room. 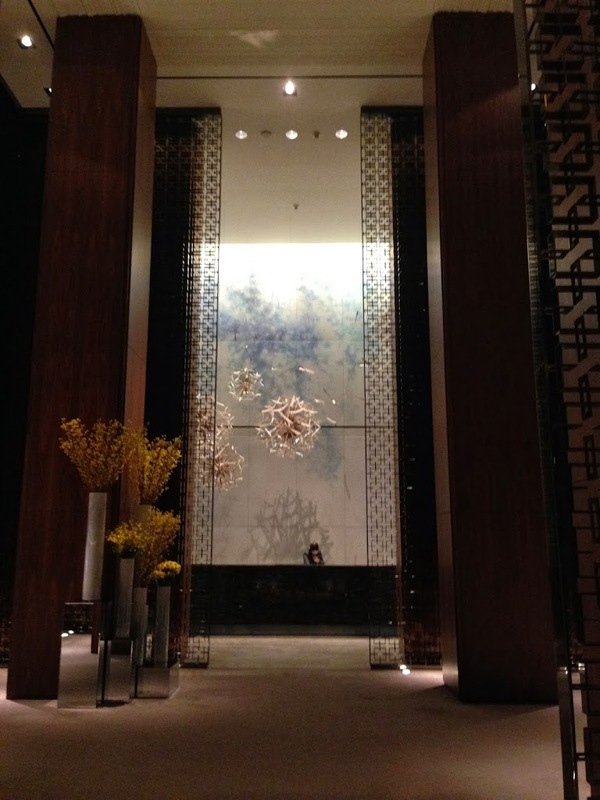 Once your day at the spa is over, your night at the Four Seasons Toronto can begin. Head down to dBar for a perfectly made Manhattan or a famous Yankee burger or try Michelin-starred Chef Daniel Boulud’s food at Café Boulud. The Four Seasons Toronto is the perfect escape within the big city whether you are visiting Toronto or lucky enough to live here. If you are travelling with kids, the Four Seasons is an extremely family-friendly hotel chain offering luxury to even the tiniest of travellers. With in-room cookies, a welcoming gift and even miniature bathrobes for your travelling tots, staying at the Four Seasons with kids is never a bad decision. Who knows, maybe the next time I need a day off in Toronto, I’ll bring my little guys for a sleepover downtown. 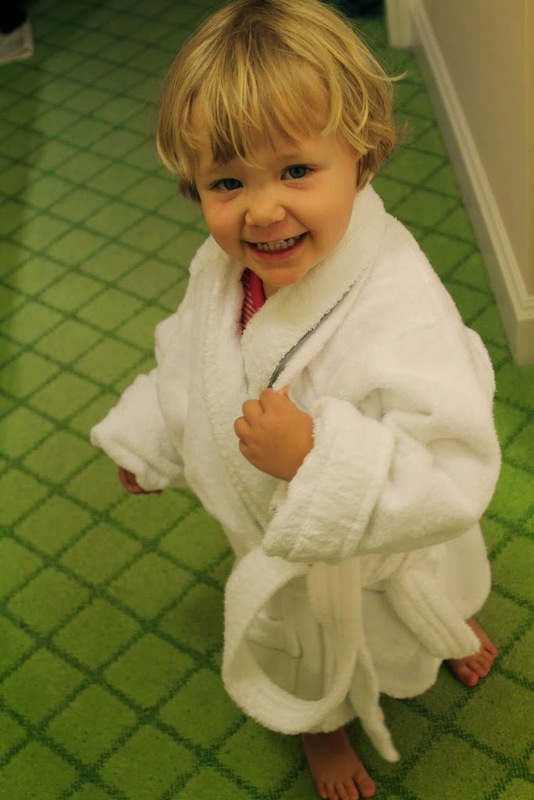 Charlie rocking her Four Seasons bathrobe at the Four Seasons Dublin.